The Redcliffe community is a big winner in the Moreton Bay Regional Council’s Art Gallery and Community Space development of their Administration Centre in Irene Street. The $2 million project starts this month and is expected to be completed by early 2020. Redcliffe’s University of the Third Age (U3A) and the Redcliffe Seniors Computer Club have been granted leases to take up tenancies alongside the new art gallery once the project is complete. Division 6 Councillor Koliana Winchester said it was a great result for the local community and for both clubs. “From the redeveloped administration centre, both groups will be able to deliver classes, workshops and events for members of the public, particularly our senior community,” Cr Winchester said. Computer Club President Kerrie Noyes said the works couldn’t start or finish soon enough. “We’ve been looking for a new home for more than eight years to properly deliver digital literacy programs for seniors and this space is perfect for our members,” she said. U3A president Tony Nobbs said the work on the new space was very exciting. “Bigger premises mean more classes can be offered to our 1300 members,” he said. Cr Winchester said Redcliffe’s vibrant arts community would also benefit. “For decades, Redcliffe’s streetscapes, seaside vistas and coastal vibe have been a source of inspiration for artists and many artists now call the Peninsula home,” she said. 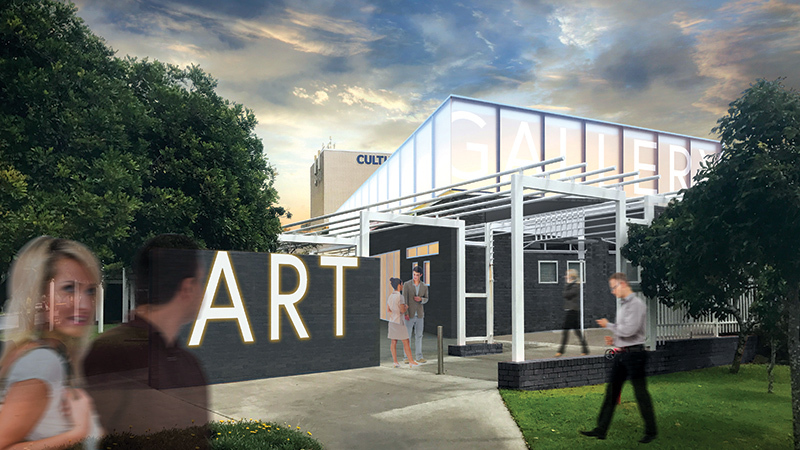 “The new art gallery will have the capacity to host bigger and more complex touring exhibitions which will give locals a unique chance to see world-class showcases here in Redcliffe.